Christmas is about so much more than just gifts, but it’s hard to beat the joyous feeling of finding the perfect present for someone. A little bit of thought and some local sourcing will help, but I’ve rounded up my top five Island-crafted items to spark your gift-giving creativity this holiday season. 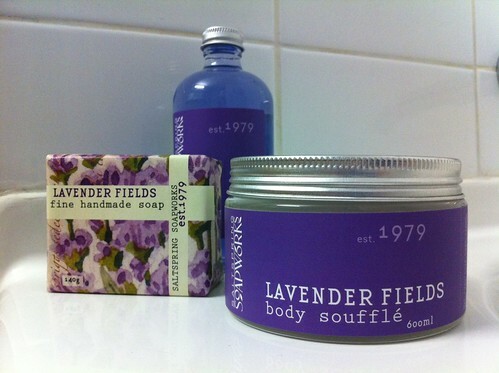 New for Holiday 2011 are the lavender and rose product packs, bursting with sumptuous treats for the body. Anything lavender has me instantly hooked and this trio of gentle soap, bubble bath and body souffle will return the lustre to winter-weary skin. An added bonus? The eco-friendly glass packaging is kind to the earth. You can find Saltspring Soapworks online or in Victoria, Duncan and on Saltspring Island. When the weather outside is frightful, bundling up is so delightful. 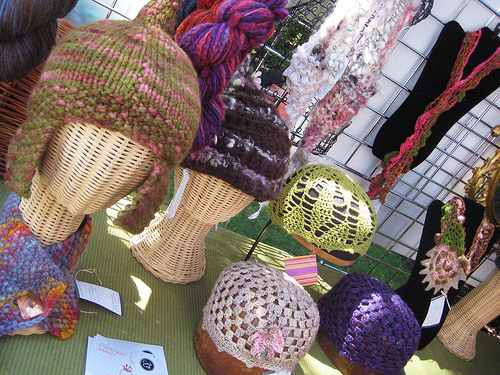 Scarves, mittens and toques are de rigueur on Vancouver Island, and there’s no fuzzier feeling than a handmade knit. A number of artisans on the Island specialize in different knit styles, but for those with more experience, considering picking up unique yarn and weave something wonderful. My pick? Try Campbell River’s Needle & Arts Centre or Knits by the Sea in Tofino for inspiration. Vancouver Island is a hotbed for crafting bitter brews, magnificent merlots and now a number of spirits. For the discerning palate on your gift list, consider picking up something locally-produced that anyone would be proud to serve on a festive occasion. 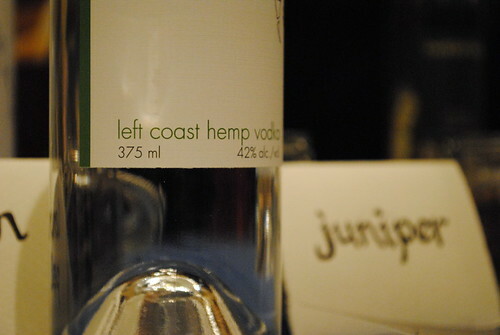 Combined with notes of hazelnut and hints of spice, the Left Coast Hemp Vodka from Victoria Spirits is a can’t-miss. Everyone knows one. There’s bound to be an animal lover in your life and what better way to honour that than by making a donation in their name. 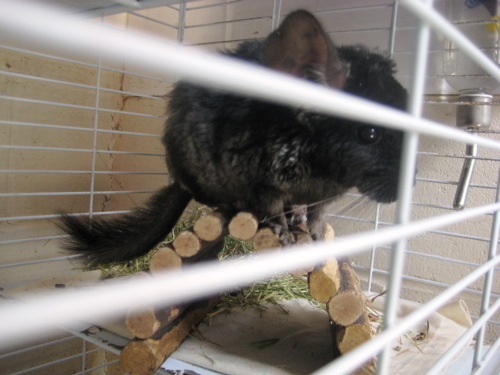 The BC-SPCA’s Pawsitive Gifts initiative is a little way to make a big difference with ideas such as a Dog Health Check for $40 or Critter Care for just $10 to help hamsters, guinea pigs and other little ones. The BC-SPCA has branches in Campbell River, the Comox Valley, Alberni-Clayoquat, Parksville-Qualicum, Nanaimo, Saltspring Island, the Cowichan Valley and Victoria. Visit your local branch to purchase a Pawsitive Gift today. Vancouver Island’s vibrant and rich First Nations history is still very much alive today, thanks in part to the artisans who have long held on to their culture’s traditions. Gifts range from hand-carved jewelry and sculpture to paintings and storybooks for children. When I’m in the Comox Valley, I love to stop into the I-Hos Gallery. You’ll find pieces from many Island-based artists all under one roof. Finding the perfect gift is half the battle. Wrapping it beautifully can also be a challenge. 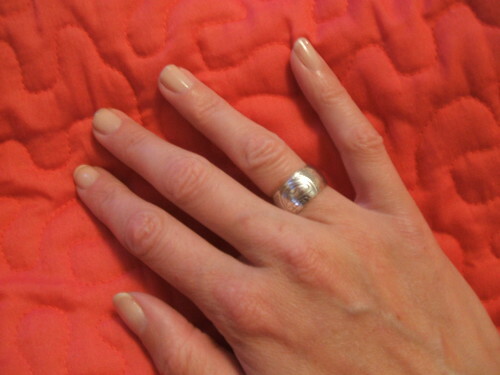 Victoria-based designer, Jenn Playford, created Furochic. A reusable cloth gift wrap based on the Japanese tradition of origami, Furochic avoids the landfill by replacing traditional paper with vibrant patterns and colours. Disclaimer: I was not paid, expected or compensated to endorse any of these businesses or products. They’re simply my picks based on what’s fun, versatile and local for the holiday season! Great list. One of the easiest ways to support the economy in a positive way is to shop local – this helps your community, neighbours and the environment! Thanks for the informative blog.